Now, thanks to significant recent advances in frequency separation software our dedicated engineers are able to give you this state-of-the-art STEREO experience you never thought possible. Freed from their narrow one-track existence, these tracks sound so fresh that the whole doo-wop genre is practically reinvented! We've found the very best sound sources and meticulously compared all these great records to their original vinyl singles to match the exact speed and edits heard on the radio, and then we added real multi-dimensional stereo! Immerse yourself in the familiar doo-wops and shoo-bops and see if you don't agree that dynamic stereo adds a whole new dimension of pleasure to this classic musical heritage. 30 truly amazing stereo songs (79 minutes of music) with 19 making their STEREO DEBUTS! You won't find these EXCLUSIVE gems on-line! 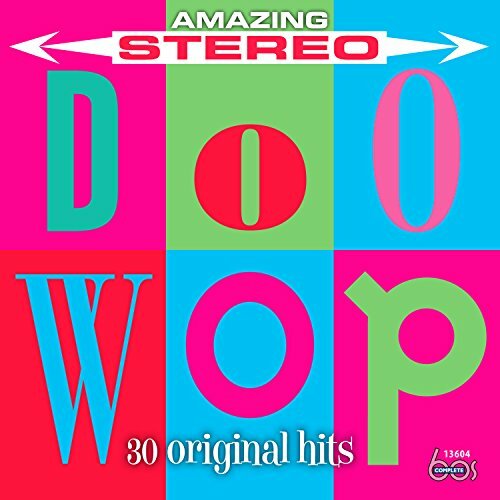 An essential CD for every doo-wop lover. Includes a 12-page booklet with photos and liner notes by Greg Adams.